Performers include: George Lopez, Anthony “Citric” Campos, Hayley Huntley, James Michael Connor, Maronzio Vance, and Ashley Zamora. 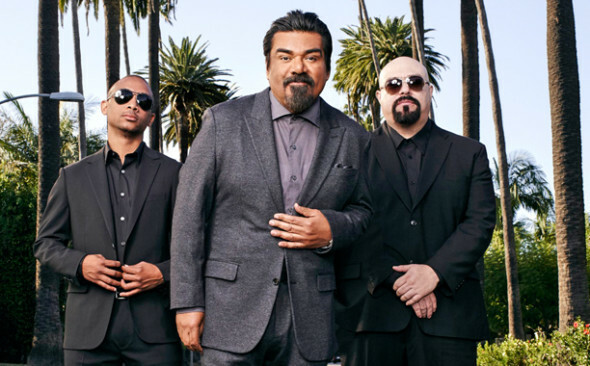 A semi-autobiographical project, this single-camera comedy series revolves around the life of actor and comedian George Lopez (playing a fictional version of himself). George struggles with wanting to give back to the Latino community where he grew up. However, he also feels as though he can never satisfy all the demands placed on him by both the celebrity world and his hometown. George is surrounded by a diverse group of family and friends who both hinder and help him in his struggles. Manolo (Anthony “Citric” Campos) is George’s driver, confidante, and sometime wingman. He rides along with George through his ups and downs. His manager, Olivia “Olly” Michaels (Hayley Huntley), ensures that he’s on the cutting edge of everything — much to George’s annoyance. His friend and opening act is Maronzio (Maronzio Vance) who can give him a hard dose of reality when George needs to come back down to earth. Annoying and nosy, Stephen (James Michael Connor) is George’s next door neighbor who’s never satisfied with anything that George does. George’s daughter, Erica (Ashley Zamora), is a very “expressive” teenage and is constantly embarrassed by her dad. First aired: June 21, 2017. What do you think? Do you like the Lopez TV show? Do you think it should have been cancelled or renewed for a third season? Lopez: Is the TV Land TV Series Cancelled or Renewed for Season Three? Good show funny KEEP IT!!!!!!! This show is lame, not funny and not entertaining, unlike the George Lopez show was. The characters have no character. What a bombshell. George is looking good! Well, not really but the show is good enough to stay on the air, I like it. Please, cancel it. It’s terrible. The show is so freaking hilarious itx firme. Don’t listen to the haters . The Raza got your back..
Have never acquired a “taste” for the comedy stylings of George Lopez; this current offering – no exception. Sorry, George. Hope you find something that “lands” with a large audience. I would never watch anything that George Lopez is in. Period. Can’t stand him or his ridiculous jokes at everyone’s expense. Citric Campos and James Michael Connor’s characters are more interesting than George. Here he goes again, same old tired “Barrio” jokes and lame-a$$ jokes, well he’s the biggest joke and doesn’t even know it! FTP! He knows what he did in Seattle, saying F@#k San Antonio! Well, San Antonio, says back to him, don’t bother coming back for any more lame comedy shows…he’s toast! Sorry don’t support racists and if you ever saw some of his live shows more than 5-6 years ago you would know.